Arkansas exported over $851 million in goods to Mexico in 2017. 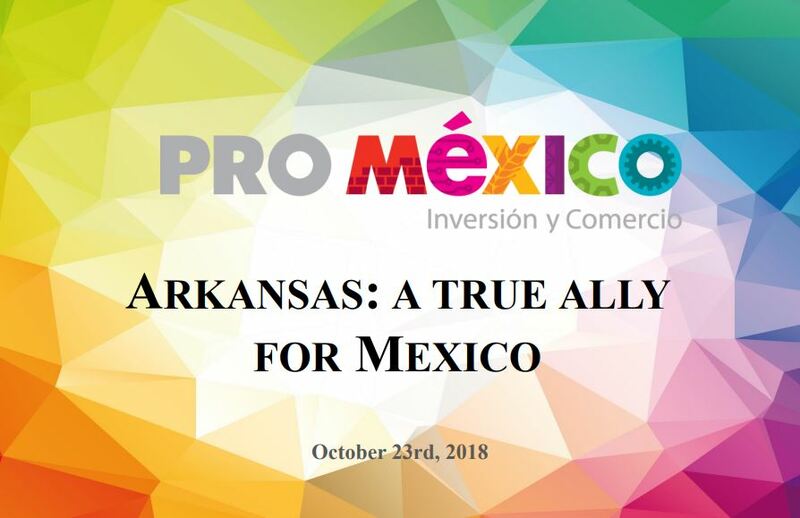 Trade with Mexico sustains 51,000 Arkansas jobs. 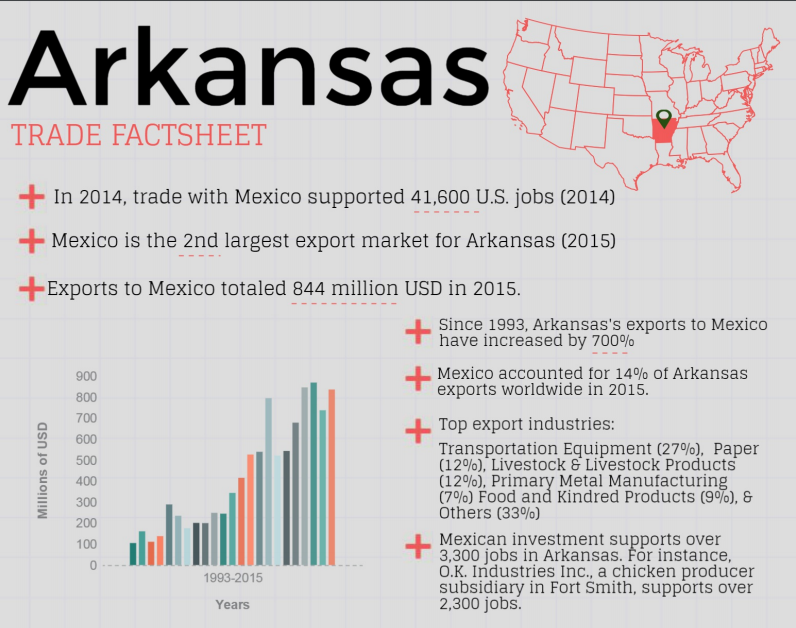 Arkansas exports to Mexico are growing 3.5 times faster than exports to any other country. This is the text of the preliminary agreement in principle reached on August 27, 2018 in the renegotiation of the North America Free Trade Agreement between the United States and Mexico. 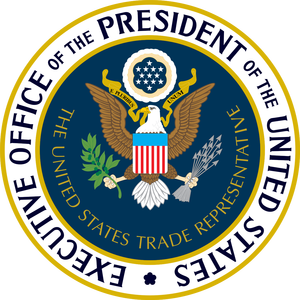 This is the decree imposing tariffs of imports of U.S. goods to Mexico, modifying the Tariff of the General Import and Export Tax Law, the Decree establishing the Applicable Rate during 2003, of the General Import Tax, for merchandise originating in North America and the Decree establishing various Sectoral Promotion Programs. 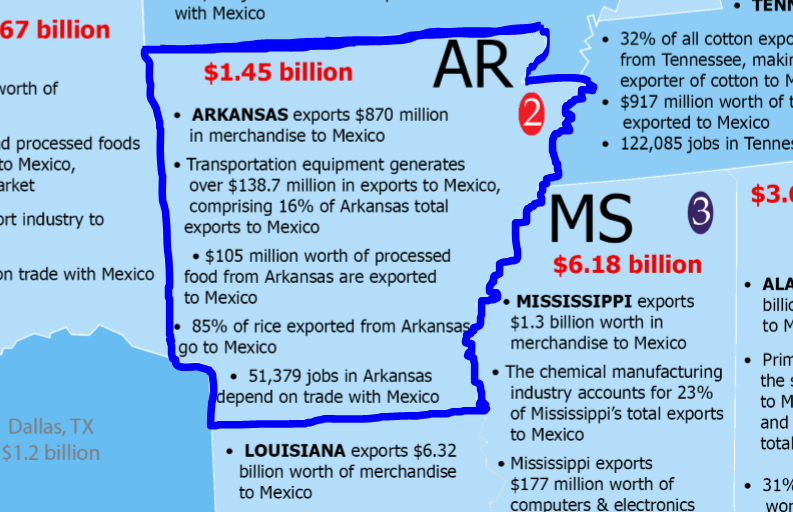 This is a report by Mexico’s Secretariat of the Economy that graphically describes the relationship between Mexico and the state of Arkansas using export-import data from 2017. This is a fact sheet by Mexico’s Secretariat of the Economy that graphically describes annual trade, export growth to Mexico, and the supply chain between Mexico and the state of Arkansas. This infographic comes from the Office of the Consul General of Mexico in Austin. It provides a state-by-state representation of the trade relationships with Mexico. Zoom in in the photo viewer to see the information up close. 51,000 Arkansas jobs depend on trade with Mexico according to this report. The Mexico Institute of the Wilson Center provided an excellent visualization of facts on the trade relationship of Mexico and Arkansas since the North American Free Trade Agreement was implemented. 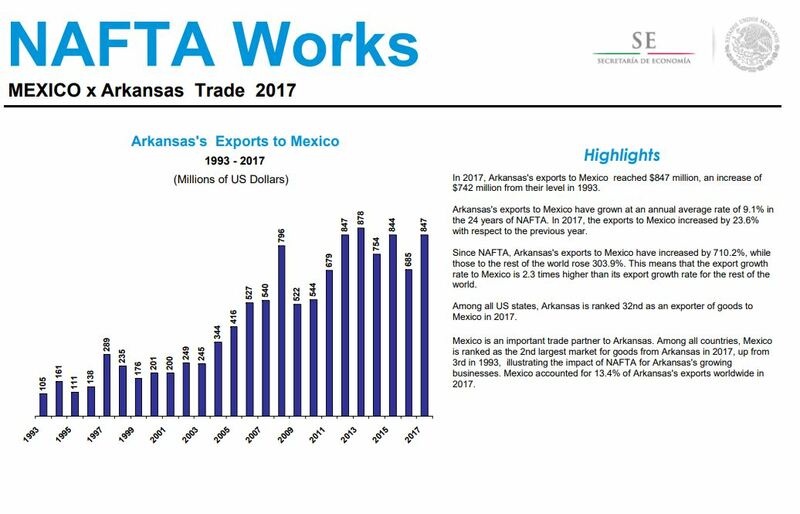 This report by the Mexico Secretariat of the Economy highlights the growth of Arkansas exports to Mexico from 1993 to 2017. “There is one country that is the most significant trading partner – and that’s Mexico,” says Angela Marshall-Hoffman of World Strategies, LLC. 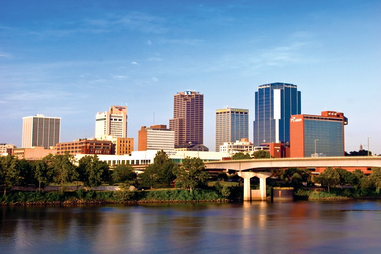 This is an in-house report on Arkansas’ valuable trading relationships.